Last edited by trancefan0883; Apr 25th, 2012 at 09:58.
i missed the last one, but will be tuned in for this one!!! yes almost done with lineup!! and the line up is ? 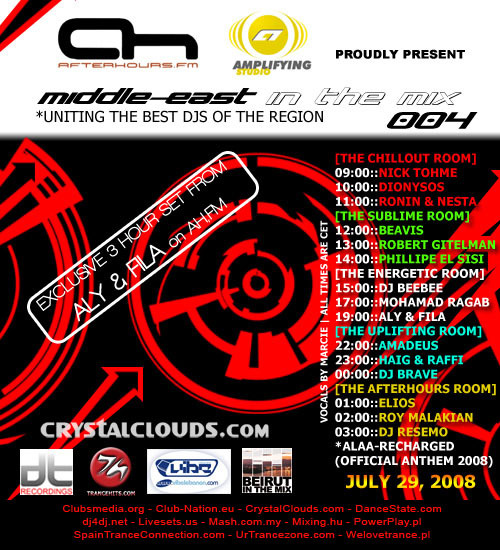 yes this should be the biggest in the mix show amongst all ones for middle-east in the mix, see you here end of july! that Tuesday I'll be at the office again - but I'm pretty sure to catch at least parts of this event !